Explicit 304 - Back to the Future - BIFF TO THE FUTURE! 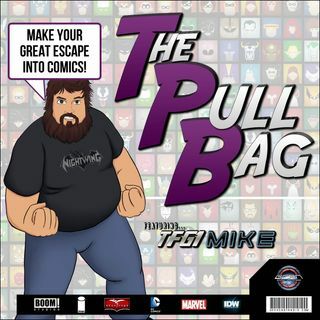 In Episode 304 of The Pull Bag join TFG1Mike and JT from Saskatoon as they continue reviewing the IDW Back to the Future Series! It’s time to grab a pepsi free, and jump into the DELOREAN with us as we GO BACK TO THE FUTURE!! We are gonna set the time circuits and get the Flux Capacitor all ready to talk about the BIFF TO THE FUTURE miniseries! This is continuing directly from BTTF II.... what IF Biff won... you'll find out by reading this! So join us won’t you as we talk about this trade ... See More from IDW!!! As always Make Your Great Escape Into Comics!! !